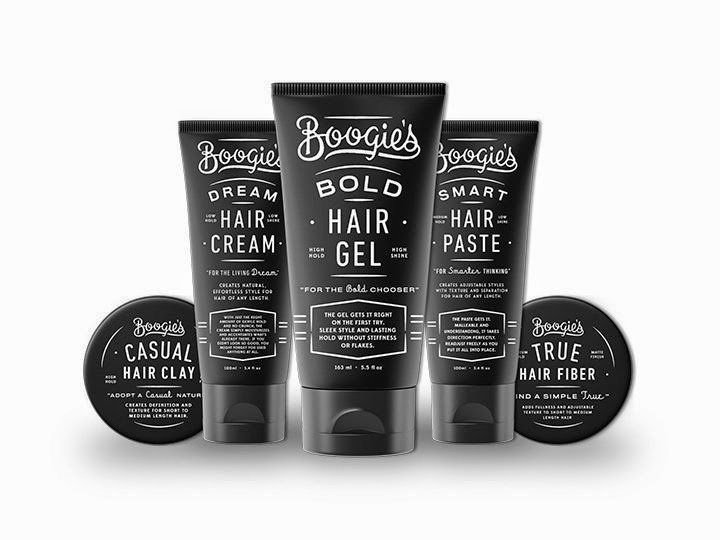 Dollar Shave Club (DSC) announced today, March 25, the launch of Boogie's by Dollar Shave Club -- a new line of hair styling products including Gel, Clay, Cream, Fiber and Paste, with an additional product – Pomade arriving this summer. Keeping its promise to help men live better lives through high-quality personal care products, content and technology, DSC will feature the collection alongside a specially designed tool to help men select their ideal product and a full satisfaction "Hairantee." With Boogie's, DSC takes its next step towards owning the men's bathroom. To help members identify their perfect hair product, DSC is launching "Boogie's Match," a personalized product finder. "Boogie's Match" takes members through a series of hair-styling questions to create a recommendation detailing which Boogie's product is best for them. All new products come with "The Boogie's Hairantee" -- if the product isn't a perfect fit for the member, DSC will ship them a full-sized replacement option at no cost. All DSC products, including Boogie's are available for members to purchase at online at Dollar Shave Club.